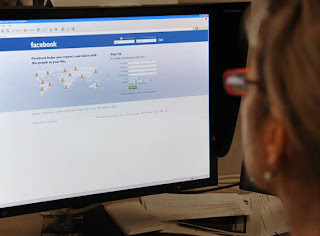 Social networking sites such as Facebook have emerged as the new "honey trap" set by enemy spies prompting the government to ask senior officials of paramilitary and armed forces to stop flaunting their career information or at best stay away from such web sites. Cases of such cyber espionage have come to light where officials of paramilitary forces posted in sensitive areas were found chatting with spies from across the border or foreign agents who were posing as women on the Internet, official sources said. In view of this, several meetings were held to ensure that official computers are not used by enemy spies to woo officials into their fold through the social networking sites and the personnel were sensitised about the new tactics, official sources said. No one was willing to come on record or give any data about the paramilitary personnel involved in these kind of cyber espionage cases, but the sources in Telecom Department privy to the developments said an effective mechanism was being put in place to keep a vigil on officials posted in sensitive areas. In some of the cases, officials were also indulging in video chat with objectionable activities that was recorded by the spies of other countries and used for blackmailing later to gain strategic or commercial information, the sources said, adding, the officials were immediately removed from these areas and departmental action was initiated. Some of the officials were seen posing with AK-47 and in uniform and in a few cases, they were seen posing with their service revolvers. On being questioned, they only said the motive was to impress people especially girls, the sources said. While the number of such incidents was more in paramilitary forces, few were also reported in the armed forces as well, the sources said. The Home ministry has already asked officials to stay away from social networking sites such as Facebook on their official computers. "Reports have been received about recent cyber espionage attack on various installations of Government of India including MHA...this could be the source of malicious code, virus, Trojan or Keyloggers having high security threat not only for that system but the entire MHA network. Social networking sites such as Google+, Facebook etc and sites of online games shall not be accessed from an official computer," a circular issued by the Union Home Ministry had said in August this year. This circular, according to the sources, was issued immediately after reports of such cases started trickling in raising alarm in the security agencies.